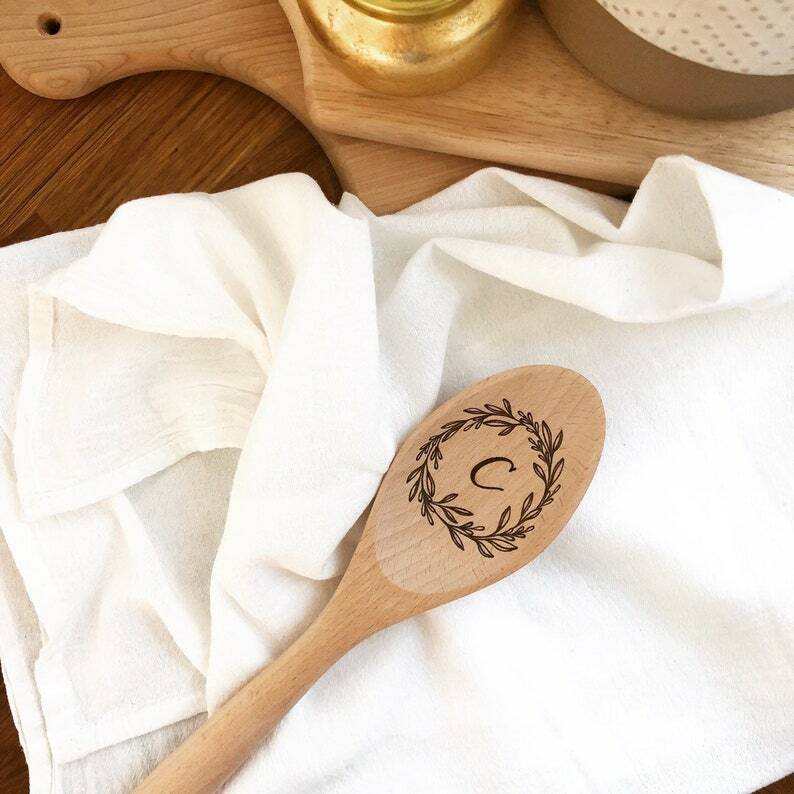 This kitchen utensil is illustrated and wood burned by hand. It is meant to be used and loved, and a functional piece of art for your home. At checkout, please leave a note with what initial you would like in your spoon. All initials are lower case letters unless otherwise specified. These utensils are made of solid, quality beech wood and measure 12" long.